The ice cream attracts so many people to come here. My friend highly recommended me here so I tried. I had the small ice cream with peanut topping. I would said that is a MUST to add the peanut topping. 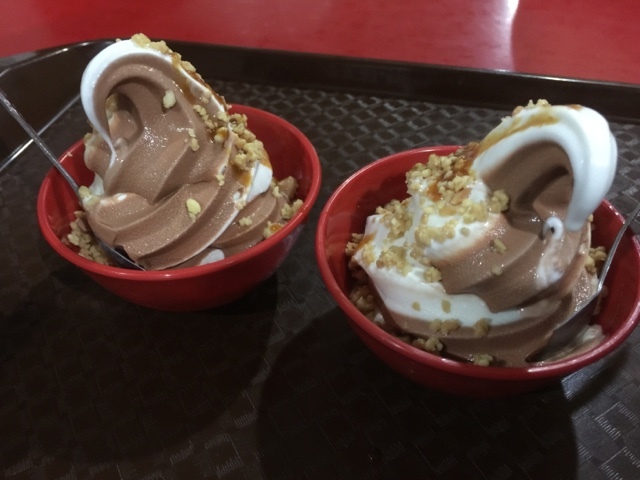 The ice cream itself is not very interesting but it is not very sweet so I kind of quite like it, it is the peanut sauce that made the different. They have different flavour everyday. The day I visited it is vanilla and chocolate. So I got a mix ice-cream with peanut sauce. The price is around RM2.50+.